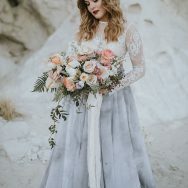 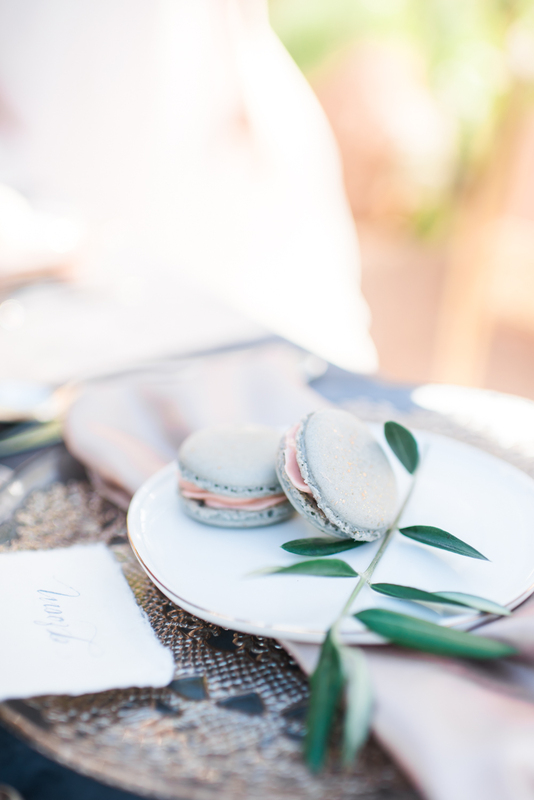 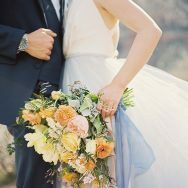 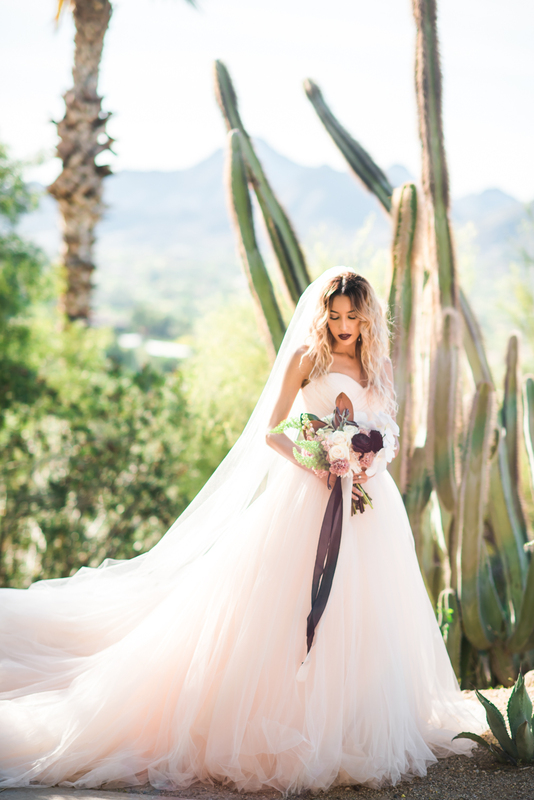 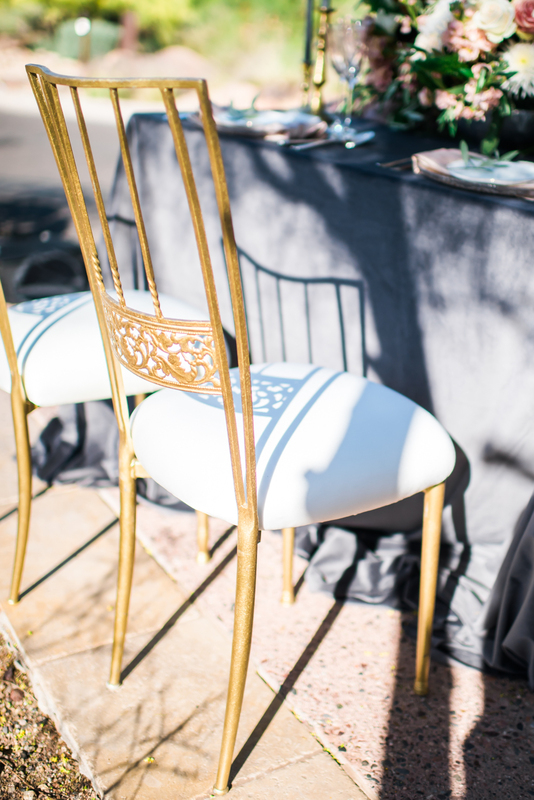 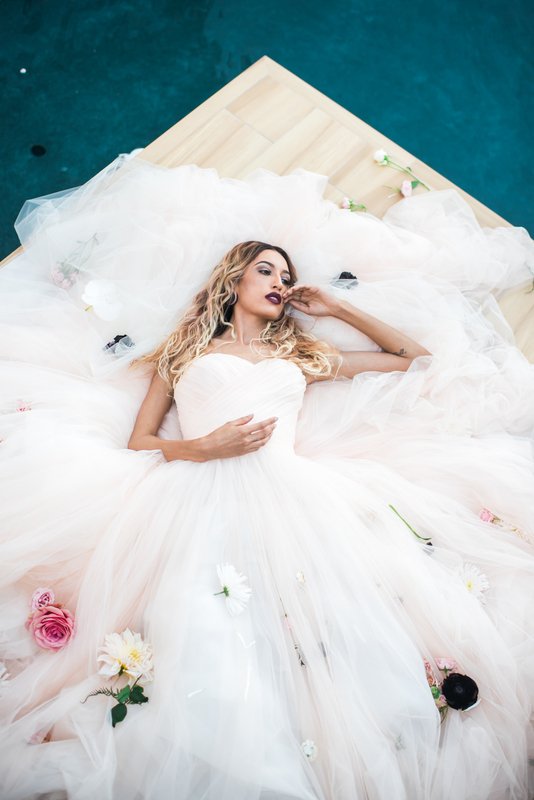 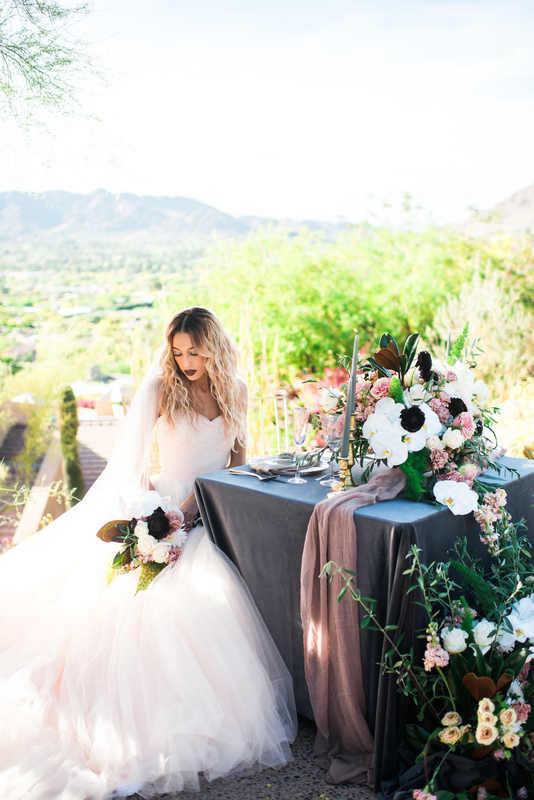 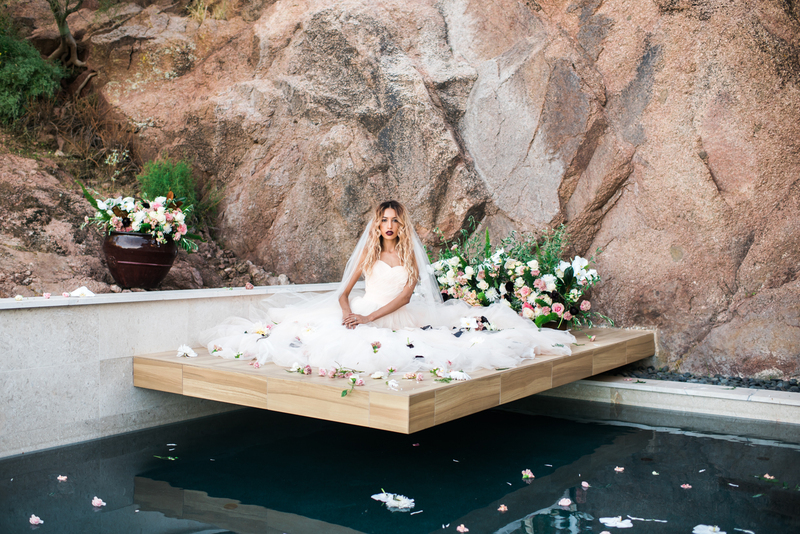 When Victorian meets modern, romantic meets edgy, and a natural desert setting becomes an elegant venue–the incredible talent behind today’s moody desert inspiration mixed unexpected styles together to create a unique look. 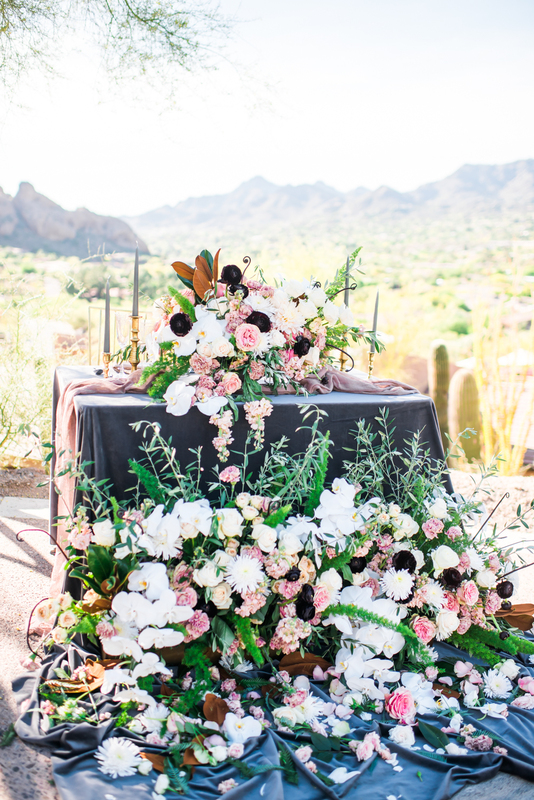 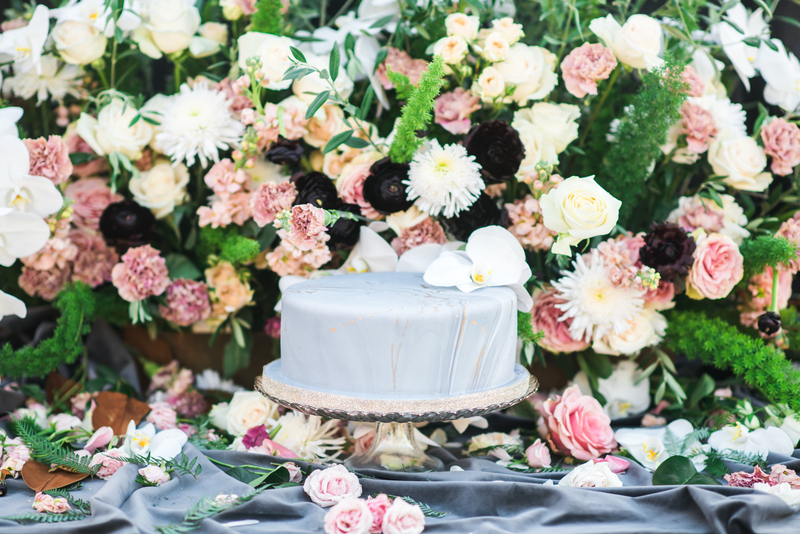 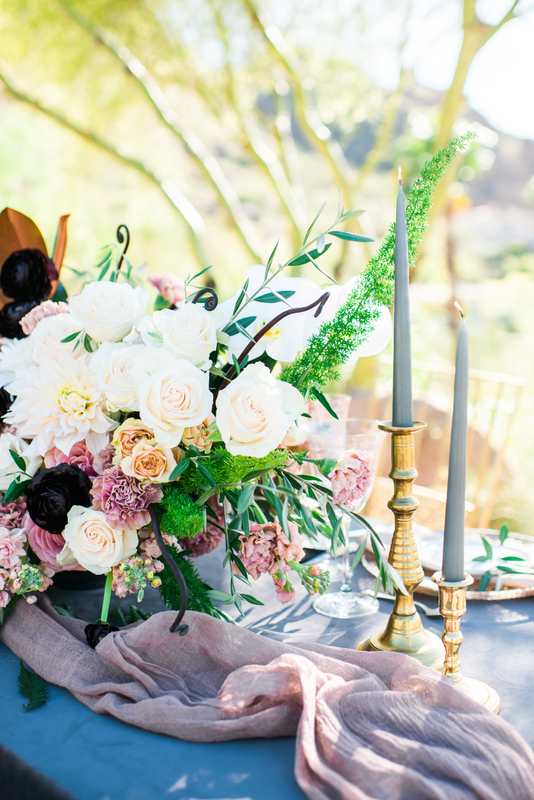 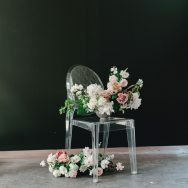 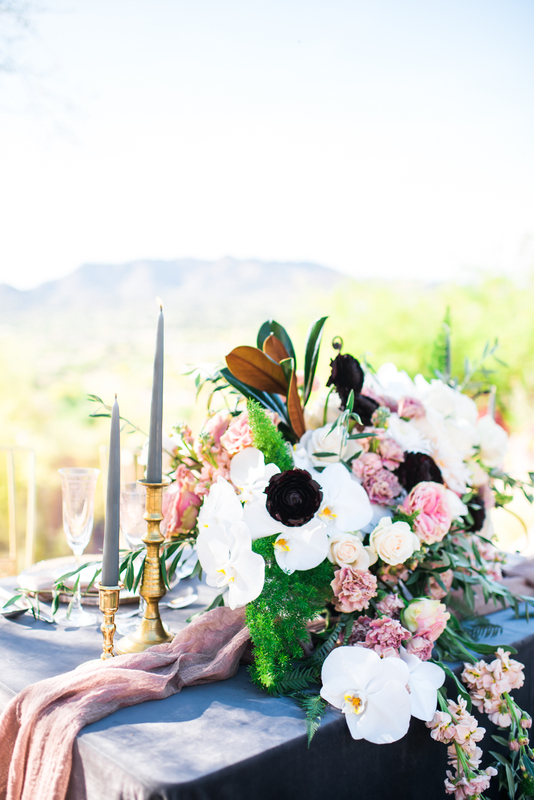 Planner BTS Event Management and florist 1209 Creative used TONS of florals with a focus on orchids, black ranunculus, dahlias and large garden roses for an edgy-elegance that we love. 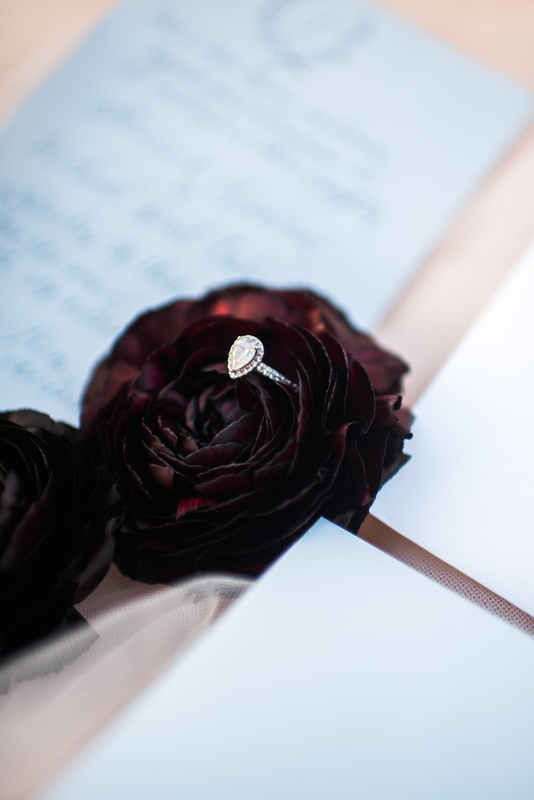 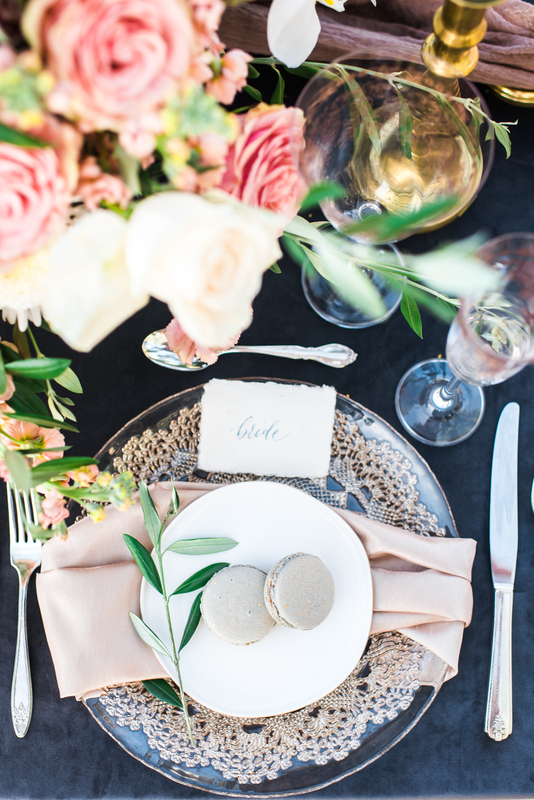 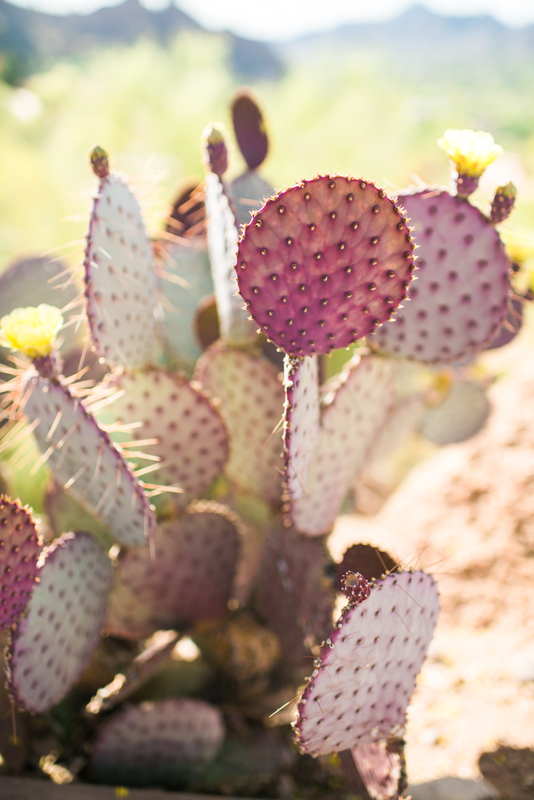 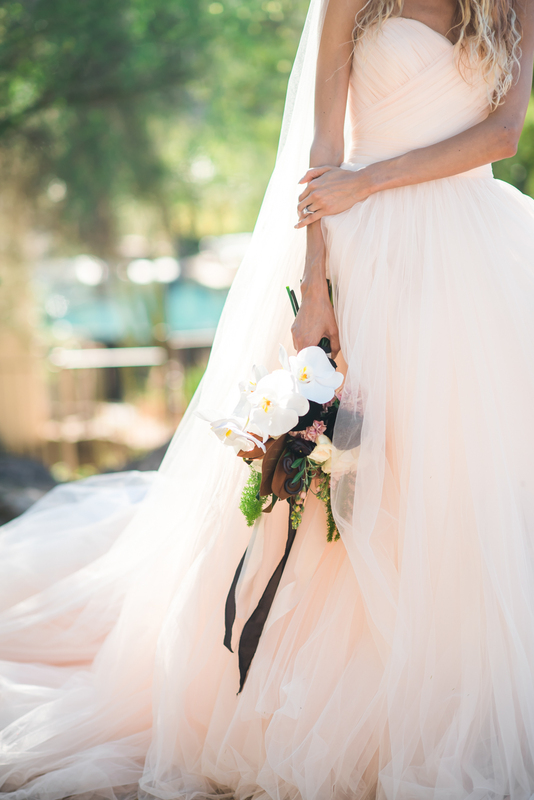 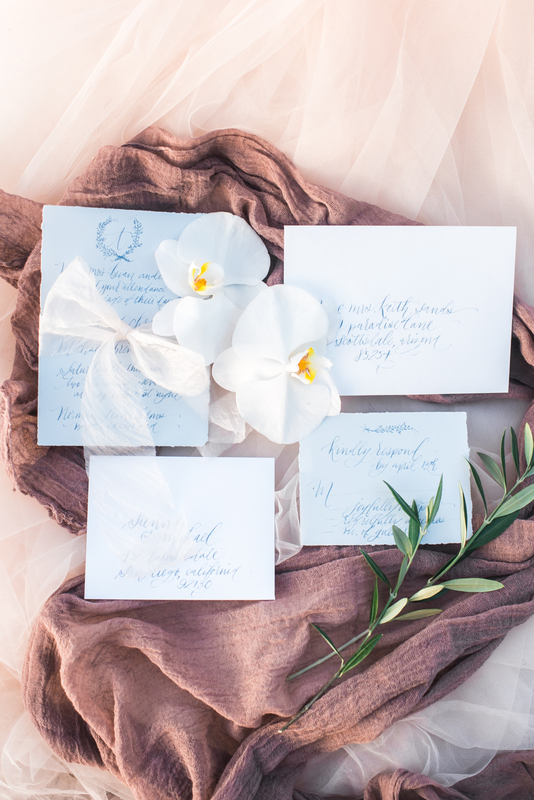 Check out all the details in these beautiful images captured by Andrea Elizabeth Photography.